Which into the twilight purls blue. O, how old is our kind. Someone whispers down in the garden; someone has departed this black sky. The apples smell on the sideboard. Grandmother lights golden candles. The second book in the “Our Trakl” series from Seagull Books, which pulls Trakl’s works through the gorgeous mind of translation that is James Reidel, Sebastian Dreaming is a dark and enveloping book filled with familiar expressionist energies and barraging pastoral haunts. The text is a mere 92 pages long (with several accompanying pages of notes, similar to the first volume in the series), entirely English, entirely exquisite and damning, both still and swirling: a presence of right and wrong, good and evil, complacent and anxious from start to finish. Six sections make up this book of difficult poetry, each carrying their own themes but also following the typical malaise of Trakl. And yet this book bests most others as it follows that unique subject matter presented as Georg Trakl himself desired it, a collection ever youthful and ever pained (even at the most mindful moments), desiring human eyes. Trakl never saw it published before his cocaine-overdose-death stole his eyes from this world, and yet here it is, now, preserved and staggering as fatigue staggers, slicing as daggers slice. Bend speechless over the blue face of the pond. 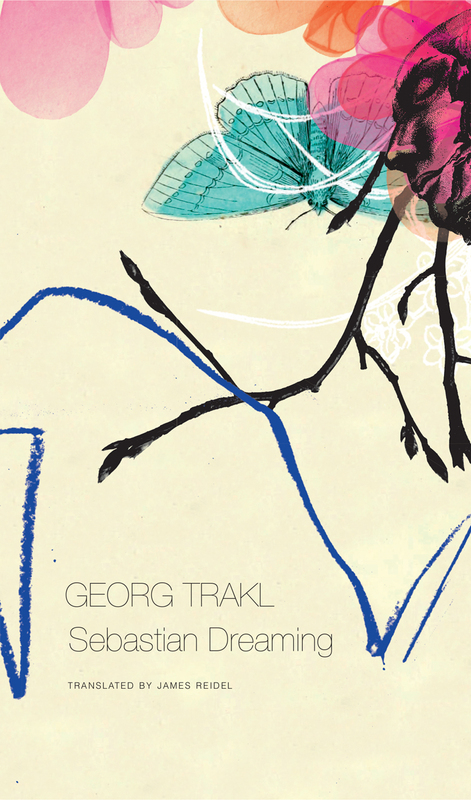 Sebastian Dreaming holds onto a core set of identities Trakl embodied throughout many of his Austrian wanderings. 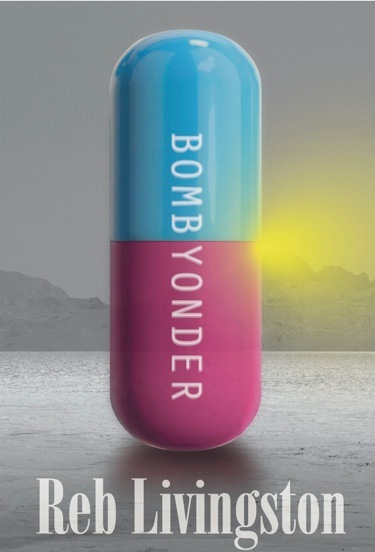 It is a book about the wandering eye and the wandering mind, weathered and enduring, calm and channeling of a world that contains all: the dynamic dimensions that can consume a human when approached directly. The book is powerful, but it failed to be published during Trakl’s lifetime, due in part to the onset of World War I. Reading the verse, an image of totality, a circumstance of the brutal and the holistic, is present through the familiar and the dreamlike landscapes stretched out in sparse, crisp lines. Such holistic reflections on the wanderer’s experience are grave indeed on their own in this book. To think about them before the waging of war and the emergence of modernity is graver still. Imagine these worlds the German-language poet presented during such technological revolutions that would murder so many in and out of the trenches of a great, international, disassociated conflict. And it lifted cold lids above him. The sense of conflict in Trakl is a regular guide: not only the results of natural and unnatural tension, but through the understanding and awareness to how life and death work on a daily basis. In some situations, Trakl pulls a hope familiar in writers as old as Dante and as recent as Dostoyevsky through the rational and mystical feminine. The “Beatrice” of the former and the “Sonia” of the latter are awakened through Trakl’s memories and recollections of his mother and, probably more important, his sister, whom infamously held an incestuous relationship with Trakl. Conflict is as much about presence as it is about absence in Sebastian Dreaming. As one dreams, what we hold onto, within the psychic realm and beyond, back to reality, represent strings of sanity, identification with our own stability. Those items of the psycho-emotional inventory that keep Trakl afloat fade in and fade out from line to line, poem to poem. Sitting with Trakl, in his condensed dreamscape, is an embodiment of challenge and presence, filled with awe and filled with a desperation to continue to understand the life and death boldly, aptly facing him. Fall silent in the reeds. Trakl turns his gaze toward the root of the nurturing, the satisfaction, as well as the root of potential and actualized conflict. Sitting somewhere in the vague and the dark of the partially knowable world, and then beyond, to spaces of unknown, Trakl’s poetry is one sifting through meditation and exploring ecstatic rapture. Sebastian Dreaming brings forward some of the most morbid and grotesque encounters of the everyday. These images and environments are not uniquely Trakl, and as they are familiar to a wide range of poets (from transcendentalists to symbolists, and so on), they reflect a universality. Trakl’s poetic side, which champions youth and energy, emerges descriptively out of the speaker’s relationship with the wilds of the forest and the cold, malicious life of the village. Even the heaviness and bustling reality of the proximal Salzburg echoes through ancient paths and phantasmagorical air. These spaces for exploring language may or may not feel like “focuses” to Trakl, but as the book takes its course, Trakl’s rooting in the physical world, even while dreaming, is crucial to realizing the value Trakl places on images and situations, what can be interpreted and what, fortunately for his sanity, can be diminished or even ignored. In the dusk, seeds and the golden shadow of melancholy. A manly presence bent red over the silent water. 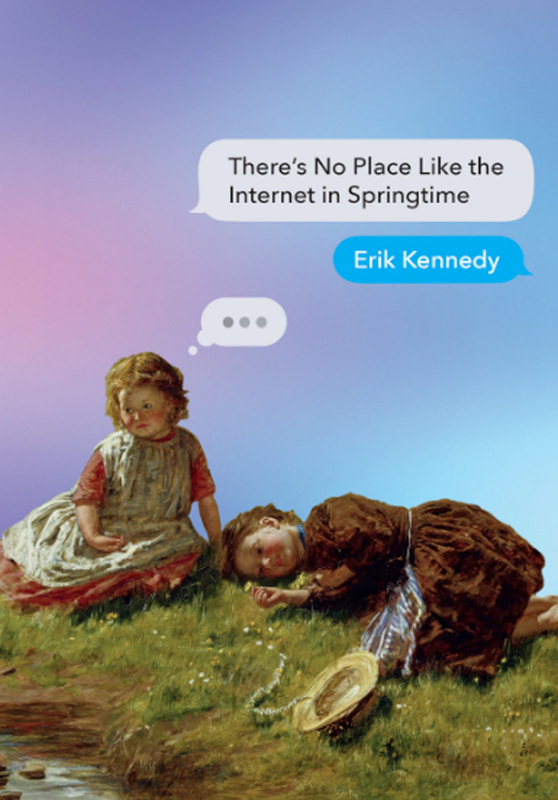 Throughout the book, as with the previous volume, there exists tension and texture between Trakl existing in society and Trakl existing along society’s natural boundaries. The relationship between nature and built humanity is a significantly exhausting one, reminiscent of other writers across the globe preceding and proceeding by generations. Trakl’s approach to the transformative earth is uniquely spirited. Often Trakl’s representations of his rhythm with the world familiar and unfamiliar are simplified into straightforward descriptions. What the poet knows: imagery the poet has known before life, into death. Often the objects of the environs are matched with super-real color. Emotions are blanketed into the corners. Scenes are set with boundaries and focal points similar to the way painters of the era set their own scenes. Arguably many of these poems also carry a fin de siècle reflection of humanism and experimentation. As readers, we are implanted, embedded, into such circumstances, and all we can do is scream out. The birds on the wing resound of ancient lore. Fills with the quiet answers to dark questions. For Trakl, screaming is the formation of thought amidst the quietude and stillness, despite memory and experience of the loud, of the noise, of the inescapable greatness looming over humanity. Mysteriously, Trakl’s reservations and allusive escapes are as energetic as the malevolence and the beautiful that might significantly transform him. As a form of result, then, what essential components make up the poem, and how does the energy bundled up in the space before and after us reconcile and recompose through language? Especially in Sebastian Dreaming, where Trakl repeats familiar images, symbols, and phrases across multiple poems, there exists an equivocal understanding, a presence of balance. A first read of the repetition might suggest a limited vocabulary, a limited interest in describing the world; however, when looking at Trakl’s greater works this book’s circles and conduits support each other. Trakl returns to the same moments, the same concepts, the same circumstances as a way to approach themes multiple times, to readdress what is most important to him. Poem after poem becomes layer after layer of a world Trakl knew intensely, thoroughly, irreparably. Full of tears, fiery angels. A child’s skeleton is dashed silver against a bare wall. As translator James Reidel makes note of in the book’s back, much of Trakl’s poetics are rooted in ideas respecting or responded to by other thinkers of Germanic languages: Heidegger, Eckhart, Nietzsche to name a few. Arguably Trakl’s sparse, escapist poetry filled with speakers seemingly off the beaten path who “spring of the soul” is reminiscent of the counter to but in reverence of the “will to life” of Schopenhauer, a potential quality so visible within Sebastian Dreaming that the book stands wholly and of relevance in the West today. The other one, a benighted voyant, sang by fallen walls and God’s wind swallowed his voice. O, the lust of death. O, you children of a dark race. The evil flowers of blood shimmer silver on every temple, the cold moon in his shattered eyes. O, who come by night, O, the cursed. Regardless of intellectual intention, the poems are also attractive pieces of reading material on their own. The juxtapositions between the frail and fragile of everyday pastoral life, combined with the fatalistic tragedies of humanity, result in significant poems meant to be read slowly, treaded lightly beside. Georg Trakl by Reidel is filled with bleak but fantastical visages of a life desirable for its density despite its shuddering and shattering. Slowly ascending and descending through the book ultimately results in a challenge worth taking for the breathtaking moments of beauty and collapse that fill a world of dreams and nightmares to be valued equally. You can learn more about this book and order a copy here. Greg Bem is a contributing writer for Queen Mob's. He has written numerous reviews for the Queen including his review of the first book in the Our Trakl series.